I already touched on why Archer is awesome here, but I recently started watching Bob’s Burgers, and mainly what I’ve taken away from the FOX animated series is that H. Jon Benjamin has the most amazing voice. Ever. Like seriously, have you heard this guy talk? His voice is like dark chocolate wrapped in silk and rolled in gravel, turned up to about 1,000 decibels. What do I mean by that? I don’t even know, it’s just some kind of incredible that you have to hear for yourself. A little more on Bob’s Burgers–this is my absolute FAVORITE work by Kristen Schaal (which is really saying something considering she’s been in stuff as good as 30 Rock, Wilfred, and Flight of the Conchords). Her work voicing the slightly sociopathic, highly enthusiastic Louise Belcher elicits shock and laughter in equal amounts. She’s my favorite character on the show, not to mention the ONLY FEMALE actor in a five-person cast; mom Linda and sister Tina are both voiced (terrifically) by men. All in all, Bob’s Burgers is a pretty funny show. If you’re a fan of hilarious puns or inappropriate cartoons, you should check it out. 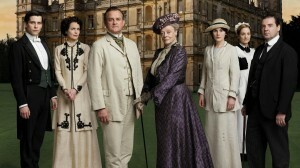 Let me just say, before we get started, that if you are a woman you will love Downton Abbey. Seriously. That’s about the only criteria for being a fan of this absolutely enthralling period piece. The show takes its time developing a wide cast of characters over the first season, which serves to not only invest you in their stories, but also gives the viewers plenty of time to admire the enchanting costumes and interior of Highclere Castle, where the series is filmed. Ladies will love everything from the clothes to the hair to the china. The show’s merits aren’t limited to esthetics, however; the story is so good you will want to get this on DVD so you don’t have to wait for the next episode! 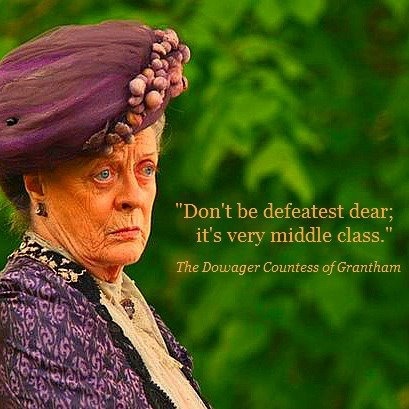 And finally, the show’s most impressive selling point–Maggie Smith as Violet Crawley, Dowager Countess of Grantham. You know, Maggie Smith? aka Professor McGonagall. aka the best ever. 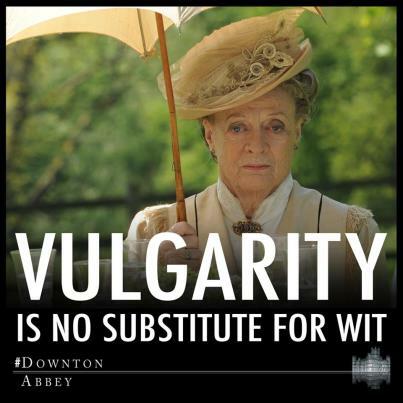 No one at Downton has as much sass as the Dowager Countess, and you better believe this matriarch tells it like it is. Here are some of her best words of wisdom. 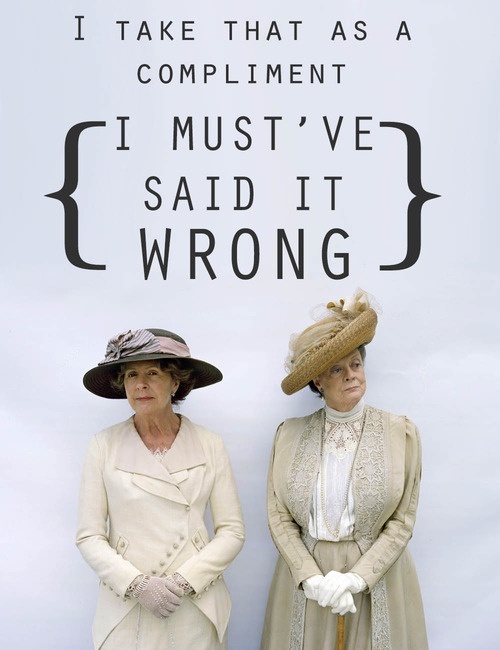 We love ya, Maggie Smith. You and your truth bombs. As much as we love Netflix and Amazon Prime, I think we can all admit their suggestions can be a little…finicky. Here are some recommendations to check out next time you’re at a loss for what to watch! If you liked Downton Abbey, then you’ll probably like The Age of Innocence. 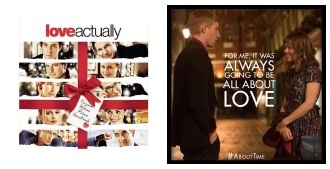 If you liked Love Actually, then you’ll probably like About Time. If you liked The Royal Tenenbaums, then you’ll probably like Death at a Funeral (the British version with Matthew Macfadyen). If you liked True Detective, then you’ll probably like Prime Suspect (the mini-series with Helen Mirren). If you liked The Illusionist, then you’ll probably like The Prestige. If you read this post, then I hope you liked it! Seriously, always. The book is always better (obviously), and you will never lose anything by reading it first. It’s always fun to see a story you loved come to life outside of your own head, but if by chance you catch a bad adaptation before reading the book–done. Ruined. Particularly if there’s a twist, then why even go back and read it? Here are some adaptations that just couldn’t cut it. 1. The Time Traveler’s Wife. Book was better; don’t even bother with the movie. 2. The Twilight Saga. Didn’t bother seeing any but the first one. They went wayyy too serious with it. The books are a cute, fun adolescent love story; why make the movie so dramatic? Not to mention the makeup is TERRIBLE. Why stop the powder at the neck? Makes no sense, any of it. 3. 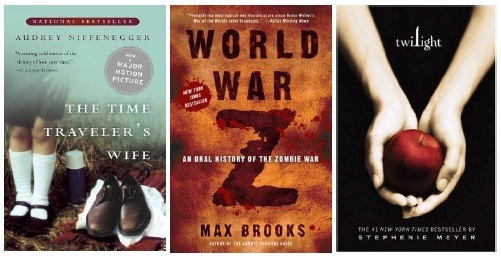 World War Z. THIS IS NOT A BAD MOVIE. It just has absolutely nothing to do with the book, other than they both include zombies. The book was completely different–and yes, it was still better–but unlike the other two on this list, the movie is still worth seeing. 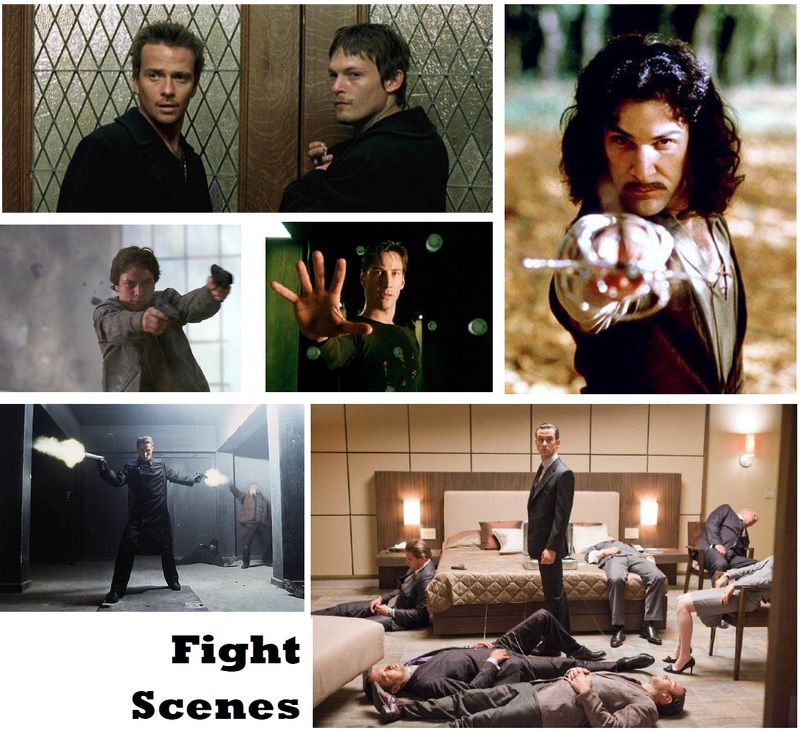 Some adaptations are a bust, but you’ve got to admit, it’s so much fun when the filmmakers get it right. Here are some times when they did. 1. Tinker Tailor Soldier Spy. Now, this first one shows what a huge hypocrite I am, because this is a case where I went ahead and saw the movie first. Truth is, I never actually read the book. It’s a spy story and once I knew the ending, like I said, what’s the point? I plan to read it after putting a little distance between myself and the ending. I have however read some of John LeCarre’s other work starring George Smiley, and let me tell you, both Gary Oldman and Alec Guinness BECOME the old MI6 veteran. Check out the 2011 movie for Gary Oldman, and the 1979 miniseries for Alec Guinness (and if you can only do one, do the miniseries. Alec Guinness’s performance is one you don’t want to miss). 2. 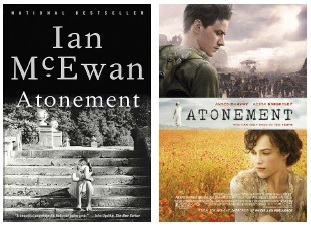 Atonement. AHHHHH this book will make you cry. And this movie. Just tears, tears all over. To me this movie was a near-perfect adaptation. They didn’t change much and you got almost the same feel watching the movie as reading the book. And can someone please tell me where I can buy Kiera Knightly’s green dress? That thing is stunning, as is she, and James McAvoy, and Saoirse Ronan, and Romola Garai, and Vanessa Redgrave. Definitely check this one out, but don’t miss your chance to read the book first. 3. Sherlock. This isn’t really an adaptation as much as a modern-day reworking of Sir Arthur Conan Doyle’s timeless series. 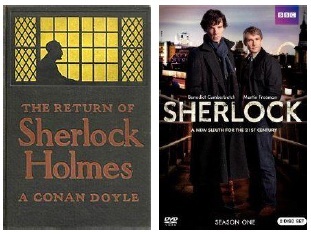 Writers and creators Steven Moffat and Mark Gatiss are fans of the famous detective, and it shines through in the show. The series isn’t just some kitschy twist-up of an old classic, it’s what Sherlock Holmes would actually be was he alive today. Also, if you’re a fan of the original mysteries, you will love spotting the fun throwbacks scattered throughout the episodes. Not to mention the awesome casting–Benedict Cumberbatch as Holmes, Martin Freeman as Watson, and Andrew Scott as the delightfully insane Moriarty. 4. Harry Potter. The movies really speak for themselves. For as much as they had to leave out (those books get pretty thick toward the end), I feel they really captured the spirit of the series. Whoever cast these guys did an amazing job as well; I personally imagined Harry, Ron, Hermione, Hagrid, Dumbledore, and almost every other character as pretty much how they appeared in the films. 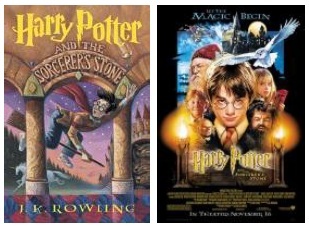 I have a confession: the Harry Potter series was my first love, and I love the books, and I love the movies, and I always will. And if someone doesn’t take me to see The Wizarding World of Harry Potter before I’m 30 I might die of disappointment. 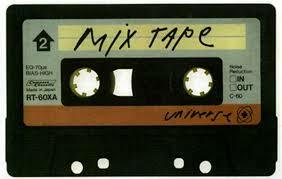 For more information on how to make a great mix tape, or how to (sort of) break up with someone slowly over two hours, see John Cusack in High Fidelity. Got any good movie music recommendations? I’d love to hear ’em.